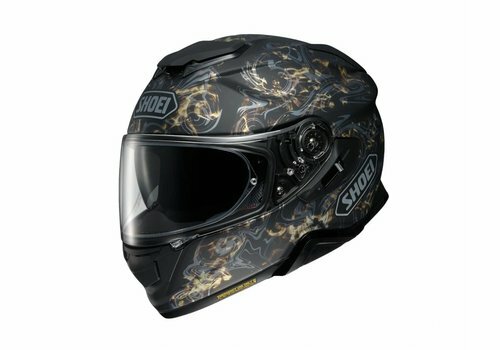 Shoei GT-AIR 2 Full-Face Helmet + Free Dark Smoke Visor! Buy your Shoei GT-AIR 2 Helmet at Champion Helmets and get: ✓Best price ✓Free shipping ✓5% Cashback on your Order Value ✓Super Fast delivery ✓Order now! Scroll down and get a free Additional Visor by using the Product Bundle! Buy the Shoei GT Air 2 Glossy Black Helmet in our Online Shop and get ✓Best price ✓Free shipping ✓5% Cashback ✓Fast delivery ✓Order now! Scroll down and get a free Additional Visor by using the Product Bundle! Buy the Shoei GT Air 2 Affair TC1 Helmet in our Online Shop and get ✓Best price ✓Free shipping ✓5% Cashback ✓Fast delivery ✓Order now! Scroll down and get a free Additional Visor by using the Product Bundle! Buy the Shoei GT Air 2 Affair Helmet in our Online Shop and get ✓Best price ✓Free shipping ✓5% Cashback ✓Fast delivery ✓Order now! Scroll down and get a free Additional Visor by using the Product Bundle! Buy the Shoei GT Air 2 Black Helmet in our Online Shop and get ✓Best price ✓Free shipping ✓5% Cashback ✓Fast delivery ✓Order now! Scroll down and get a free Additional Visor by using the Product Bundle! Buy the Shoei GT Air 2 Deviation Helmet in our Online Shop and get ✓Best price ✓Free shipping ✓5% Cashback ✓Fast delivery ✓Order now! Scroll down and get a free Additional Visor by using the Product Bundle! Buy the Shoei GT Air 2 Affair TC3 Helmet in our Online Shop and get ✓Best price ✓Free shipping ✓5% Cashback ✓Fast delivery ✓Order now! Scroll down and get a free Additional Visor by using the Product Bundle! Buy the Shoei GT Air 2 Blue Helmet in our Online Shop and get ✓Best price ✓Free shipping ✓5% Cashback ✓Fast delivery ✓Order now! Scroll down and get a free Additional Visor by using the Product Bundle! Buy the Shoei GT Air 2 Helmet in our Online Shop and get ✓Best price ✓Free shipping ✓5% Cashback ✓Fast delivery ✓Order now! Scroll down and get a free Additional Visor by using the Product Bundle! Buy the Shoei GT Air 2 Conjure Helmet in our Online Shop and get ✓Best price ✓Free shipping ✓5% Cashback ✓Fast delivery ✓Order now! Buy your SENA SRL2 SHOEI GT-AIR II Communication System at Champion Helmets and get: ✓Best price ✓Free shipping ✓5% Cashback on your Order Value ✓Super Fast delivery ✓Order now! Scroll down and get a free Additional Visor by using the Product Bundle! Buy the Shoei GT Air 2 Yellow Helmet in our Online Shop and get ✓Best price ✓Free shipping ✓5% Cashback ✓Fast delivery ✓Order now! Scroll down and get a free Additional Visor by using the Product Bundle! Buy the Shoei GT Air 2 Silver Helmet in our Online Shop and get ✓Best price ✓Free shipping ✓5% Cashback ✓Fast delivery ✓Order now! The new Shoei GT-Air 2 helmet is the long anticipated successor to the very successful original GT-AIR. The GT Air II is a sports touring helmet. Meaning it is an all-round full face helmet that has the comfort of a touring helmet. It has the looks of a sports helmet. Where the Shoei X-Spirit 3 is a real race helmet and the Shoei Neotec 2 is a real touring helmet, the GT-Air 2 kind of sits in between those two. It does both the jobs very well, but if you are looking for a full face to fly around the track with, the Shoei X-Spirit 3 is probably a better choice. And if you are regularly taking weekend trips on your touring bike, the Neotec 2 might be the better choice. The GT Air 2 will perfectly cover you for everything in between. The original GT-Air was one of the best fullface sport touring helmet, so it was quite a task to improve this. But we at Champion Helmets believe that Shoei has done a great job in making several improvements to this stable and comfortable helmet. One of the most visible differences between the old and new GT AIR 2 helmet is the design of the outer shell. The GT-AIR II has a more aerodynamic design than its predecessor. The spoiler is bigger. They tested it in Shoei's windtunnel and made the spoiler in a way that it contributes to even more stability and silence. It produces less drag and make the airflow go around the shell smoothly. Another difference compared to the original gt air is that the integrated sun visor has become slightly longer for even better protection against the sun. This was one of the few things that came back as feedback from riders across the world on the old GT Air. Shoei took this feedback and translated it into a slightly longer internal sun visor. Especially on those shorter days at the end of the summer when the sun is very low, it is a great feature. It is perhaps good to mention that Shoei has left the number of layers in the inner shell complete and everywhere equally thick when installing the sun visor, the same as with the original GT-Air. With other brands, often a layer is left out to be able to build in the sun visor. Shoei has not compromised on safety here. The outer shell of the Shoei GT-AIR 2 comes in 3 different sizes, resulting in a compact helmet with an optimal fit. 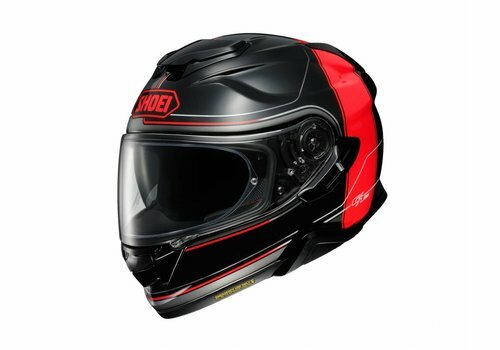 Looking at other brands to find a good competitor of the Shoei GT Air 2, you will first fo all notice that there are not a lot of sports touring helmets out there. Usually it is either sports or touring. And manufacturers then completely focus on the segment the helmet is meant for. The closest competitors we could find are in that mid-range level, rather than the high-end segment the GT Air 2 can be put in. Other full-face helmet that offer an internal face shield, pinlock visor, high quality EPS liner and score on low wind noise are HJC RPHA11 and the Shark Spartan Carbon. The AGV Corsa R doesn't have an integrated sun shield but does offer the other features and can bee seen as a strong competitor as well for the GT-Air 2. We do have the say that Shoei is one of the few brands that has developed a helmet that is in between a touring and race helmet, the sports touring. Most of the helmets mentioned are leaning more towards race than touring. Shoei kind of created a new segment here for riders that very often had a sports bike and at some point moved to a touring, but still love riding at higher speeds and keeping that sports experience in their riding style. This is exactly what this helmet is made for. The GT-Air 2 has an outer shell, made of AIM (Advanced Integrated Matrix). Many other Shoei models use this exact same high-end material. This consists of glass fibers and multi-composite fibers in different layers. This gives the shell optimum rigidity and is extremely shock absorbent. Another characteristic of this material is that AIM is made to absorb different impact scenarios. From the highest impacts to the lower forms of impacts. Shoei is known for producing high quality helmets, and the AIM is thoroughly tested by the Japanese manufacturer. The GT-Air 2 has a stainless steel Micro ratchet. This has moved slightly forward compared to the GT-AIR. This improvement was made, based on feedback from drivers. They have indicated that they find the closure too close to the throat. This is a known problem with some other brands as well, such as Schuberth, that they put the ratchet too close to the throat. This issue is tackled with the new GT Air. Also the ventilation was changed. Nothing feels better than a sunny Sunday afternoon trip. One condition to absolutely get everything out of your trip, is to make sure you have a well ventilating helmet that keeps your head cool, even when keeping your focus on those higher speeds. A helmet that keeps wind noise out, but bring in a cool airflow and extract the warm air out of your helmet. A high-end quality helmet does exactly this. It keeps your head cool while keeping the noise out. The GT-AIR 2 has a particularly good ventilation system. The air inlets on top of the helmet are more extensive and bring in more cool air compared to the GT-Air. The air outlets at the rear, that extract the hot air, are open at all times resulting in an optimal air flow in the helmet. This was not the case with the original gt air. This gives a constant and extremely pleasant temperature in the helmet. The extra wide external visor of the GT-AIR 2 is called the CNS-1. The Max Vision pinlock ready visor is anti-fog, anti-scratch and comes as standard in clear visor with a pinlock lens. 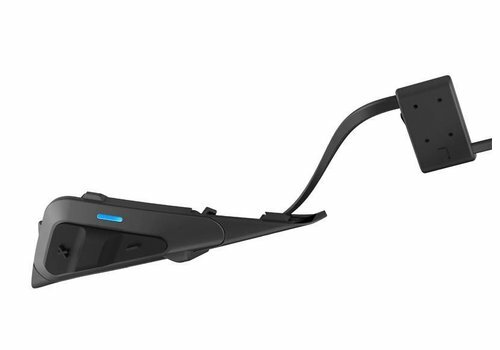 Furthermore, the GT-AIR II has an internal sun visor. As mentioned above, the sun visor of the GT-AIR 2 has become slightly longer vertically and the opening at the nose has also been improved compared to the predecessor. The sun visor is called QSV 2 visor and it is DIN EN 1836 standard European certified. This is a European standard certification for sunglasses. It means that it gives you a good protection against the sun, to enable a comfortable and safe riding experience. The GT-Air 2 is one of the quietest helmets available in this range. And this is quite spectacular for a sports helmet. The highly aerodynamic design, the 3D lining and the seamlessly connected visor, contribute to a high noise reduction in this helmet. Shoei is a manufacturer that develops their helmets for an extended period of time in a windtunnel before actually releasing them. We saw this with other models as well. Each tiny detail is being put to the test before it is approved on the design. Shoei has also co-developed an intercom system with leading communications brand Sena, specifically for the GT-AIR 2. This intercom system is called the SRL-2 and can be fully integrated into the helmet and this contributes to less noise than its predecessor the GT-AIR. Pre cut channel are made in the inner shell to hide the system into the helmet. The inner liner is one of the most important parts of what makes a quality helmet. Especially in the high-end segment the inner liners offer great comfort, ventilation and noise insulation. Shoei helmets in particular are known for having a high quality inner liner. The GT Air 2 is no different. The 3D anti-bacterial liner is removable and washable. But many other brands (lower-end) offer this as well. It is mainly the material and different layers that make the difference compared to other brands. The GT Air II lining is exceptionally good at absorbing moisture quickly and also drying up quickly. The cheek pads are available in different sizes to suit your personal preferences. The liner is equipped with E.Q.R.S. (Emergency Quick Release System) If necessary, the liner can be removed before the helmet is removed from the head. Furthermore, the liner is prepared for the SENA SRL-2 communication system.